Dream Machines is a relatively new and little known Polish company with a small roster of mice now under its belt. It has also branched into audio products with a Bluetooth speaker and has a range of gaming laptops too, but it's mice we're interested in today. Specifically, we're looking at its latest creation, the DM1 Pro S. This is an upgraded edition of the original DM1 Pro, based on the same physical design but with a few small changes here and there which we'll highlight as we go. 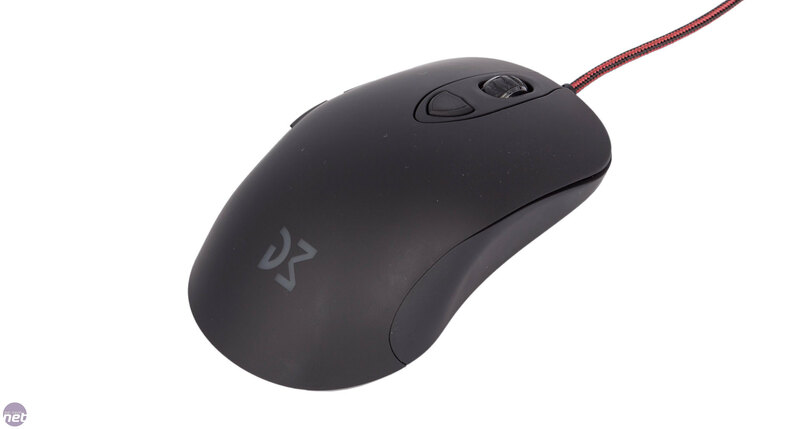 In the UK, it comes in close to £50, putting it towards the higher end of the market and in competition with well respected mice from Zowie, Xtrfy and many others. The DM1 Pro S is available with the same matt finish as before or a new, glossy one – personally, we prefer a matt finish, but glossy was introduced purely as a result of user feedback, so who are we to complain? 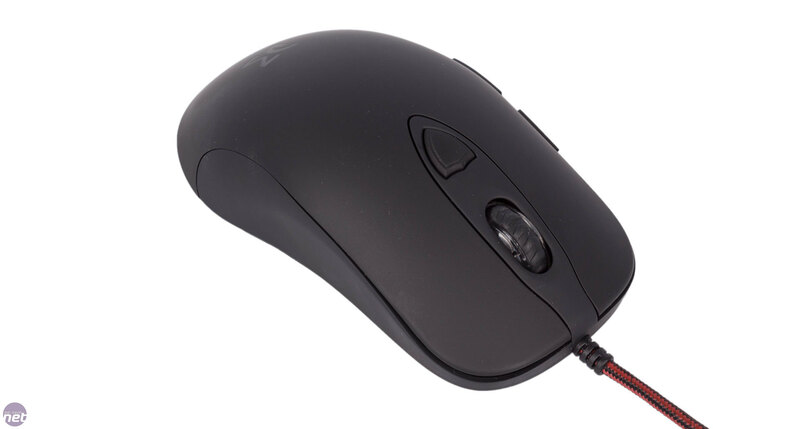 The mouse has a main top section and two side sections, and these side bits have the same soft-touch rubberised coating on both versions. On the matt mouse, this finish is also used on the main bit. The mouse isn't too prone to picking up fingerprints provided you're not snacking on crisps or something while you game. A braided 1.8m cable sprouts from the front and terminates in a gold-plated USB connection that comes with a protective cap. Dream Machines says it chose a braided cable deliberately in the interest of longevity but went for the softest braid it could find. The cable is fixed and the point at which it joins the mouse is reinforced well enough, although the mouse does little to prevent cable dragging as the connection isn't really elevated. 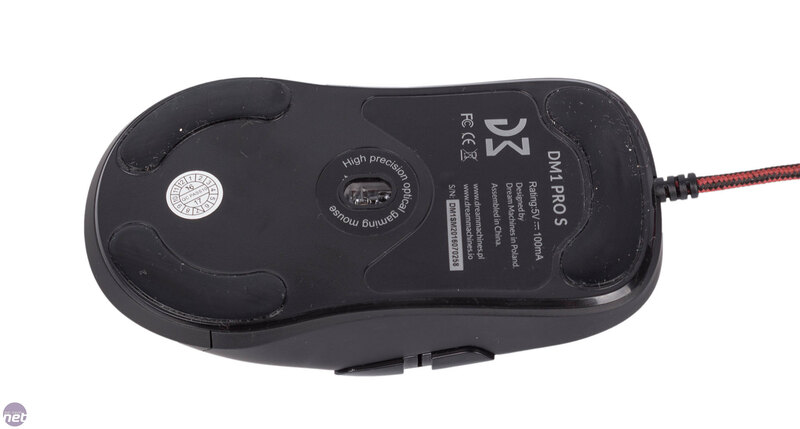 The DM1 Pro S is solid and well built with no loose or wobbly buttons. Three sizeable Teflon feet are found on the underside and make for very smooth movements. Pleasingly, Dream Machines includes a replacement set in case the originals get worn out over time. The six-button design keeps things simple and gives most users the functions they need for day-to-day use and gaming. There is no software to accompany this mouse; it's purely plug and play. That means no customisation of button functions or DPI levels, which does put it at a disadvantage next to much of the competition feature wise, but many users will see such extras as unnecessary – it's exactly these users Dream Machines is targeting. 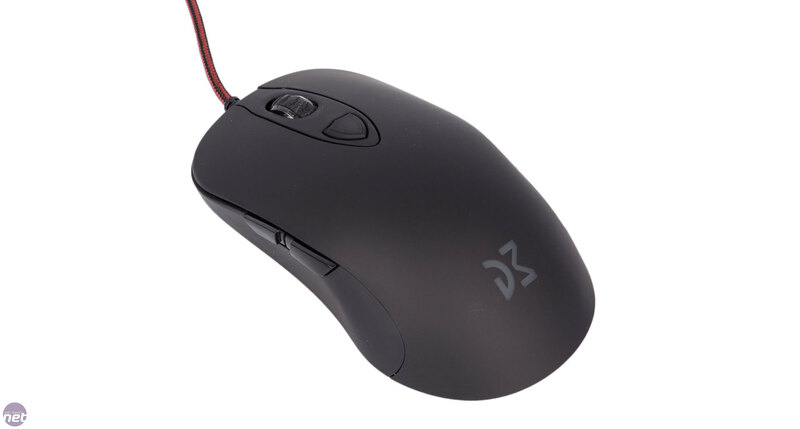 The shape is the same as the DM1 Pro although the mouse is a little lighter at 85g. This makes it rather nimble, though fans of heavier mice should note that the weight can't be increased. The design is said to be suitable for palm, fingertip and claw grips, and after playing around with all three we're inclined to agree. 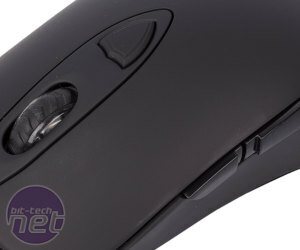 There are certainly mice out there that are more honed to one of the three main grips, but the soft material, largely smooth exterior and nicely shaped hump should make this a pretty comfortable mouse for most users. The material also strikes a delicate balance between smoothness and grip – it never felt like it was going to slip out of our control. Omron switches rated for a lifetime of 20 million clicks (D2FC-F-7N) are used for the two main buttons – the same as the DM1 Pro – and the scroll wheel now uses a TTC switch with the same lifetime rating. 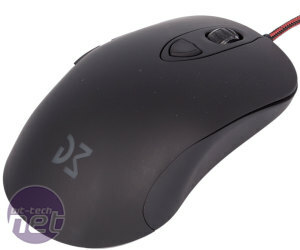 All three have a pleasant and precise action and the scroll wheel is less stiff than many other mice but not too light. The rubberised, textured finish is ideal and the notches are clearly defined. We found the side buttons to be perfectly positioned. Their action is a touch spongy but they're easy to actuate at a moment's notice. The DPI button is position a little further back than we'd like but it's large and not too stiff so it's still easy to hit repeatedly. 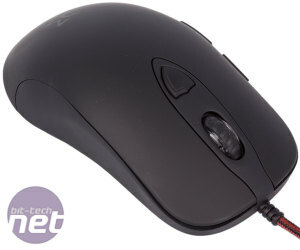 It cycles the mouse between six fixed DPI levels: 400, 800, 1,600, 2,400, 4,800 and 12,000. This higher setting is the native resolution and a little extreme: even Dream Machines admits it's mainly for bragging rights, and we're pleased to see a focus on lower levels that are more realistic for gameplay. 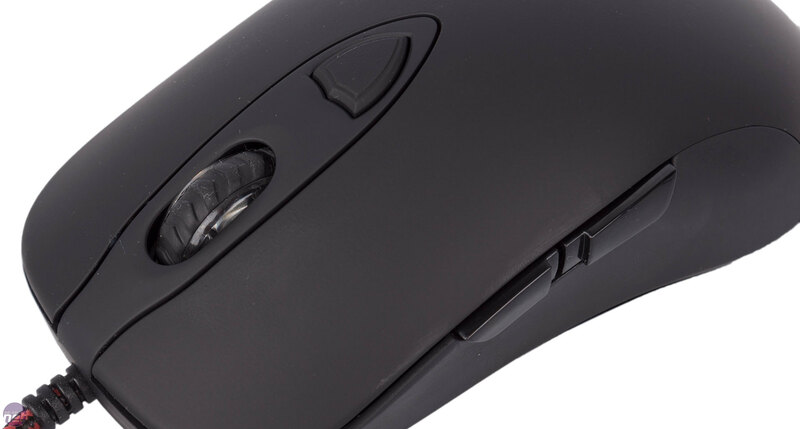 Each DPI level changes the colour of the mouse's lighting that shines through the scroll wheel and rear logo. The lighting effect is a slow breathing one that cannot be altered or disabled. The sensor has been upgraded from the venerable PixArt 3310 to the newer 3360, an optical sensor with the new, higher 12,000 DPI resolution as well as a faster maximum tracking speed of 7m/s. It's also said to be capable of tracking better on a wider variety of surfaces including aluminium mouse pads. Dream Machines says it has disabled acceleration as well as prediction (AKA angle snapping) and employs only very low levels of movement smoothing that shouldn't be detectable. The DM1 Pro S runs with a 1,000Hz polling rate and this cannot be altered, and Dream Machines promises a lift-off distance (LOD) of between 1.8 and 2.0mm. In actual use, the 3360 sensor certainly impresses. 12,000 DPI was far too high for us to use, but even there we didn't detect evidence of jitter or inaccuracies. In the other settings, there was a negligible impact from acceleration and movements onscreen always felt smooth and precise. This was, naturally, beneficial in games, although one thing to note is that DPI levels can't be disabled – if you like playing certain games with one high DPI setting and one low setting for more precise movements, you'll always have to cycle through multiple levels to reach the desired one. Lift-off distance was actually lower than promised – even atop just a single CD the sensor refused to track. This is great for those who like to play at low sensitivities and frequently reposition the mouse as it shouldn't throw your aim off by more than a few pixels. Premium mice tend to fall into one of two categories these days: There are those that try to justify their pricing with extravagant button and lighting customisation options, while others keep things simple with a focus on quality and ease of use for those who just like to plug in and go. 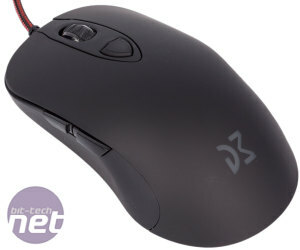 The Dream Machines DM1 Pro S is definitely in the latter category, much like the Zowie FK2. We're happy to report that it's a success, as it's well made, comfortable to use and offers precise tracking with the new 3360 sensor. The on-the-fly sensitivity adjustment is a real bonus over the Zowie mouse, although some users may miss the polling rate adjustment, which the Xtrfy XG-M2-NiP also offers – that mouse is also worth considering if you want something heavier. 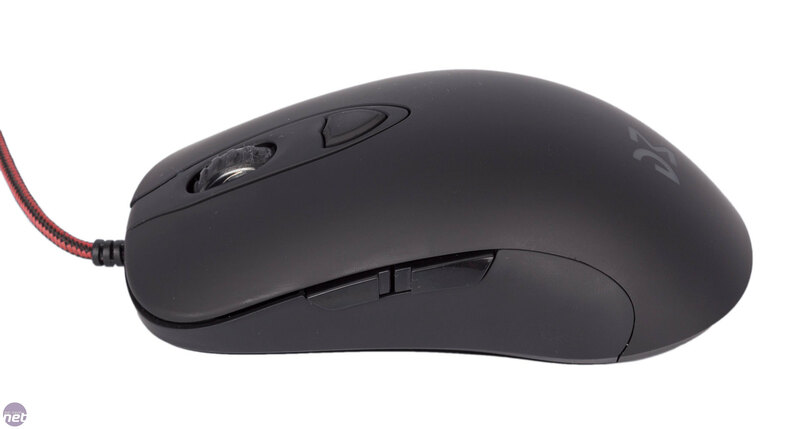 Simple but effective is the best way of describing this mouse – its feature set is far from expansive, and if you need even a modicum of customisation you've plenty of other options to choose from, but each element of the design has been carefully considered and the end result is strong if simplicity and quality are your priorities.